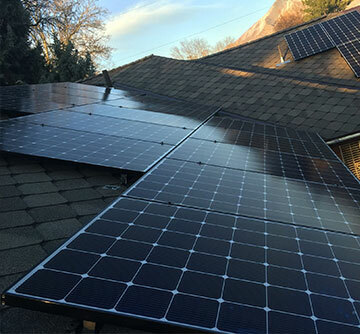 To provide the home owners with a maximum efficiency home, careful consideration was taken to ensure that all details were designed to provide architectural appeal, energy efficiency and a sense of oneness with the outdoors. 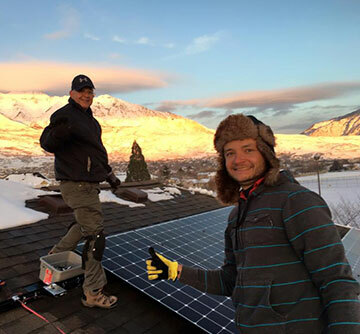 Redstone Solar installed 40 SolarWorld 285 watt monocrystalline solar panels on a flat roof, each paired with a SolarEdge P300 power optimizer to maximize system efficiency and minimize losses from existing mature trees. 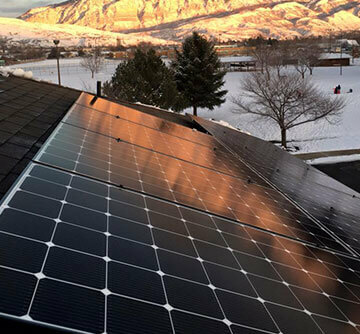 The solar array will provide 100% of the homeowners electrical needs and provide years of reliable, clean energy. 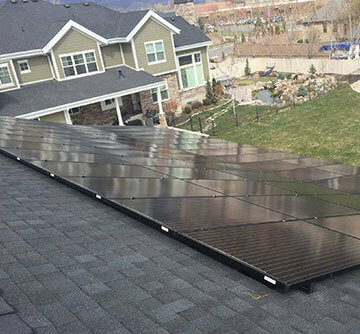 Not only does the home feature solar panels, but many energy efficiency measures were included to increase the homes sustainability and comfort. Radiant heat piping is installed under all concrete floors to provide a comfortable space during cooler months. All walls are highly insulated, with 4″ of rigid exterior foam installed in addition to blown in fiberglass in the wall cavity. High performance windows are installed to provide exception views of the outdoors and insulate the home. Thermal heat exchangers are installed on all drain lines to increase the water heater efficiency by preheating inlet water before it enters the water heater. LED lights were also used to minimize electrical demand. 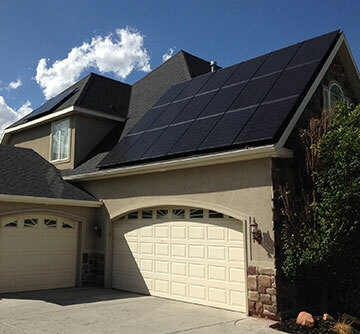 Come on out to the Utah Valley Parade of Homes and see how you can get solar panels installed on your home!